Steve Woodard’s practice is currently limited to family law mediations, with special concentration on equitable distribution cases. He is a North Carolina State Bar board certified specialist in Family Law and is a Fellow of the Academy of Matrimonial Lawyers. 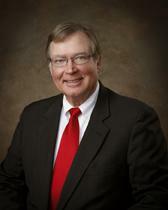 He is no longer actively practicing law at this time as his practice is solely in family law mediations.